The Pakistan Army on Thursday fired at Indian positions on the Line of Control in Jammu and Kashmir, defence sources said here. The sources told IANS that the Indian Army retaliated the violation by Pakistan of a 2003 ceasefire between the two countries. However, no casualties were reported on the Indian side in the firing in Gulpur sector of Poonch district along the Line of Control -- the de facto border that divides Jammu and Kashmir between India and Pakistan. 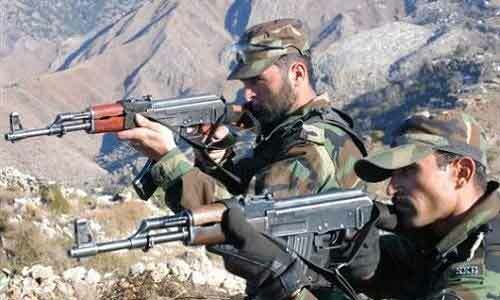 "Pakistan firing started at 9 a.m. Our troops have effectively retaliated. So far, no casualty or damage was reported from our side," an army spokesperson said. Exchanges of fire were still going on in the area hours after the Pakistan Army opened an "unprovoked fire", the spokesperson said. It was a fresh border firing between the two countries after a lull following weeks of heavy exchange of fire on the LoC and the International Border in Jammu and Kashmir since the September 29 surgical strike by the Indian Army targeting terror launch pads in Pakistan-administered Kashmir.